Paige knows evil exists in the world, but she never imagined it would want something from her. After a ghostly voice whispers a haunting message to seventeen-year-old Paige Reed, Paige's life takes a nightmarish turn. Unwilling to tell her friends about the supernatural occurrences happening in her life, Paige feels more alone than ever--until she meets Nathan Caswell. Nathan is not only hot, but seems to peer into Paige's soul, evoking a magnetic energy between them that cannot be denied. But he's no ordinary guy. He tracks dark spirits, and becomes alarmed when they set their signs on Paige. And then there are the two power-hungry dark spirits who believe Paige can find King Solomon's magical ring for them, because when her father was alive, he was close to finding it. If Paige doesn't comply with their demands, they'll kill her. Paige is forced to dig into her father's past and unearths shocking secrets about him and his bloodline. With the past and present colliding, Paige is only sure about two things in her life: she needs to outwit the dark spirits to stay alive, and she's completely and helplessly in love with Nathan. Beyond the Eyes is a very interesting book. Paige Reed has been hearing ghostly premonitions since she was little and has never told a soul about them. One day she gets a message about her own future and must figure out what the cryptic message means when she meets Nathan. Nathan is a hot dark spirit hunter who is usually a loner, but once he notices Paige he can't keep his eyes off her. I think Beyond the Eyes is definitely a unique read. The topic the book is on has been done before, but I don't think I can compare it to any other novel or vice versa. I almost feel like this book is several separate great ideas for several separate books, but all combined into one. You can take several events/idea of the novel and cut it out and make it the basis for its own book. I think that is one thing that I really appreciated about Beyond the Eyes. 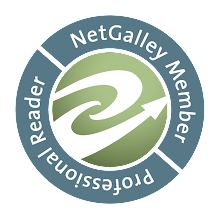 It really explored a lot of different ideas and kept the reader interested at the same time. I really liked the characters, but I do wish there was just a little more romance. I mean there is a lot of really good scenes between Paige and Nathan, but they always have something to do with another plot point. I wish there would have just been at least one whole chapter just devoted to them getting to know each other or expressing their feelings, or just have a normal every day chapter together, instead of their usual hectic/insane lives. I absolutely loved Paige's friends. Tree is definitely my favorite, because of how much of a good guy he is. He is just so caring and patient. I also really, really liked the pace of the story. I think since this book experimented with so many different ideas that it could have easily been a disaster if Rebekkah would have tried to rush the timeline. In order to make another big event happen in the book she would have had to rush the timeline causing details to be lost or misunderstood and it would have ruined the story. I really liked that this novel seemed pretty slow paced and basically in real time. I was able to stay with the story and not get lost or confused and have to go back and re-read things. Beyond the Eyes is a unique read. Rebekkah Ford seems to have combined a bunch of ideas and experiment with how they would all play out together. It caused really nice tension to build for the story and kept my interested. I also really liked the pace that the book took. It could have easily went faster, ending up with a very confusing and muddled up story that people would have to re-read in order to understand all that was happening, but Rebekkah kept it slow and clear. The characters all seemed to be very well developed and have their own personalities and really stuck with their true selves through out the entire story. I recommend this novel to those who are into young adult fantasies. Rebekkah Ford grew up in a family that dealt with the paranormal. Her parents' Charles and Geri Wilhelm were the Directors of the UFO investigators League in Fairfield, Ohio, back in the 1970's. They also investigated ghost hauntings and Bigfoot sightings in addition to UFO's. Growing up in this type of environment and having the passion for writing is what drove Rebekkah at an early age to write stories dealing with the paranormal. At one point in her life, she thought she wanted to be a journalist, and although she enjoyed writing articles, she quickly discovered her real passion was writing fiction. 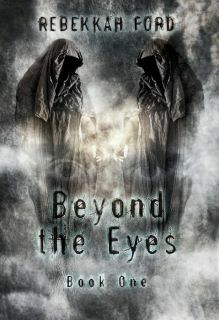 Her fascination with the paranormal is what led her to write the 'Beyond the Eyes' series.